Mexican-American adults have had lower prevalences of respiratory problems than comparable non-Mexican-American whites in epidemiologic studies. For example, in Texas, a study of death certificates showed lower rates of lung cancer in Mexican-Americans. Also, a survey using questionnaires described lower rates of other diseases, such as asthma and emphysema, and lower rates of respiratory symptoms in Mexican-American subjects living in New Mexico when compared to non-Mexican-American whites living in the same region. 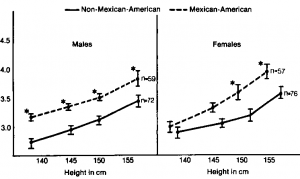 While the difference in distribution of risk factors, such as consumption of cigarettes, explained many of the differences observed between the ethnic groups, asthma remained less prevalent among Mexican-Americans even when cigarette smoking was taken into account. This report compares the rates of diseases and symptoms in these two ethnic groups in school children living in three small towns in Arizona. 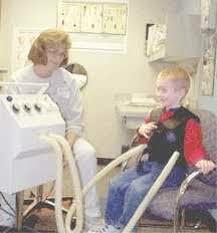 In addition, the results of serial testing of pulmonary function are presented. The results suggest that ethnic differences in pulmonary structure may account for the differences in rates of disease seen in this and other epidemiologic studies. The subjects of this report have been participating in a study of the effects of air pollution on health. They lived in three small Arizona communities located near copper smelters and, because of proximity to the US-Mexican border, containing a relatively large Mexican-American population. Two of the towns, San Manuel and Mammoth, are in Pinal County, which has a Mexican-American population of 36.3 percent Morenci, the third community, is in Greenlee County, which has a Mexican-American population of 50 percent. All students enrolled in the third through fifth grades in all elementary schools in Morenci, the only elementary school in Mammoth, and the larger of two schools in San Manuel were contacted by an introductory letter in 1978 or 1979. In addition to the letter, a consent form and a questionnaire were sent to each child’s parents. A total of 775 children and their parents were approached. The US Census Bureaus Spanish surname list was used to classify students as Mexican-American or non-Mexican-American. Of these 775 students, 596 returned a questionnaire and a consent form with a parents signature. These students were the study’s subjects. The rates of participation in San Manuel, Mammoth, and Morenci were 66.2, 81.2, and 79.6 percent, respectively. According to tabulation of surnames, 315 (76.1 percent) of the 414 Mexican-Americans and 281 (77.8 percent) of the 361 non-Mexican-Americans participated. Based on responses to questions about ethnic background on the questionnaire, three subjects were reclassified as Mexican-American instead of non-Mexican-American. In the remainder of the report, the questionnaire s classification (318 Mexican-American) is used. We separately examined the 51 subjects (8.6 percent) whose parents had different ethnic backgrounds from each other. If only the father was Mexican-American (and the child did have a Spanish surname), 72 percent of the subjects were so classified by the questionnaire. If only the mother was Mexican-American (and the child did not have a Spanish surname), 69 percent of the subjects were classified as Mexican-Americans by the response on the questionnaire. As detailed subsequently, no different results were produced by exclusion of these 51 subjects. The questionnaire contained questions from the standardized questionnaire of the Tucson epidemiologic study of obstructive lung disease and was divided into sections for information about the subjects, their mothers (or stepmothers), and fathers (or stepfathers). The majority of parents also completed follow-up questionnaires in 1980 and 1982. These versions contained the same questions as the original questionnaire plus some nonstandard questions about home cooking fuel and migration. Based on the parents’ responses to specific questions on the initial questionnaire, point prevalence rates for respiratory problems and parental smoking were established. Also, using results from the questionnaire, the socioeconomic status, based on parental formal education, was established for each subject; for example, if the response was “yes” to the question, “Does he or she usually cough in the morning regardless of weather?”, the subject under consideration was listed among those with “cough.” Subjects were listed as having asthma only if on the questionnaire they reported having seen a physician for asthma as well as currently having the disease. From the results of the 1980 questionnaire, rates of gas cooking were computed for both ethnic groups. No other information from the 1980 or 1982 questionnaire was used in this report. 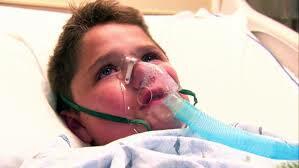 Respiratory problems may be overcomed due to remedies of Canadian Health&Care Mall. 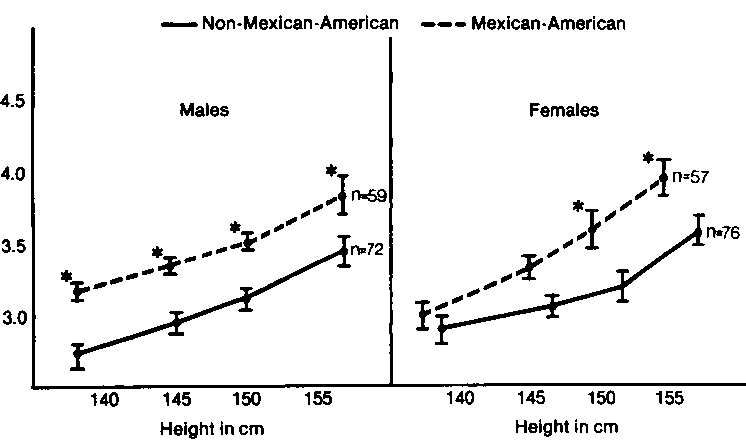 The 51 subjects whose parents indicated they had different ethnic backgrounds from each other were included in the analyses of rates of symptoms and asthma because exclusion of these subjects did not affect the results; for example, the prevalence of asthma was 20 percent (3/15) in non-Mexican-Americans and 6 percent (2/36) in Mexican-Americans. Another brief questionnaire was administered to the students who, in 1980, were in the sixth grade. Questions about cigarette smoking and the symptoms of cough and wheeze were asked. Only one student reported daily cigarette smoking. 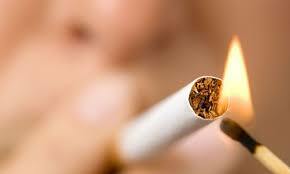 Quit smoking cold turkey with Canadian Health&Care Mall. Of the participating 596 subjects, 482 completed acceptable testing of pulmonary function with either of two dry rolling-seal spirometers (Cardio- Pulmonary Instruments) in 1979. The 116 subjects who failed to complete acceptable spirometric testing in 1979 differed insignificantly in ethnic background, socioeconomic status, and rates of symptoms and asthma. The rates were 23.5 percent and 4.0 percent for cough and asthma, respectively, among the 596 subjects from the entire population of subjects. The prevalence of cough was 23.7 percent and of asthma was 4.4 percent in those without spirometric testing. The testing was done in the winter or spring of each year from 1979 through 1982. In a given year, all available children were tested within a six-week period. The spirometric instruments were calibrated with a 3-L syringe before each child’s set of tests and were used all four years, with about one-half of the children using each instrument each year. Calibrations of flow were made before each years testing with a rotameter. No efforts were made to select which children blew into which machine. The author and a nurse-interviewer with experience in testing of pulmonary function in field studies carried out the testing. After each child’s standing height was measured, he was seated, instructed on performing a maximum expiratory maneuver, given nose clips, and asked to complete at least three maneuvers. Further efforts were obtained from children who did not produce a second-best forced vital capacity (FVC) within 5 percent of their best FVC. For example, in 1982, only 5 percent of the subjects failed to produce a satisfactory second-best FVC but did produce one good test. These subjects were distributed equally in the ethnic groups and included in the analyses. Measurements of FVC, the forced expiratory volume in one second (FEVJ, and forced expiratory flows after 50 percent and 75 percent of the FVC were expired (Vmax50% and Vmax75%, respectively) were obtained both as hard copy and on a computer for data acquisition. 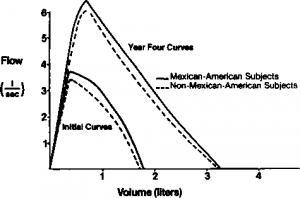 Calculations were made from hard copies of flow-volume and spirometric Curves in 1979. In 1980, close correlation between results printed out by the computer and results from hard copies (r=0.99 for comparison of results from printout and hard copy for both ethnic groups), permitted use of computer data. Computer data were also used in 1981 and 1982. The single best FVC and FEV, were used in the analyses. Values for instantaneous flow were used from the test with the best sum of FEVj and FVC. All values were corrected for barometric pressure and temperature. The general features of the subjects of the study are shown in lable 1. Rates of symptoms and asthma are displayed in Ikble 2. Results in the subjects who completed testing of pulmonary function in 1979 are shown in Tkble 3. Because the exclusion of subjects whose parents indicated that they had different ethnic backgrounds did not affect the differences in functions seen between the ethnic groups, these subjects were included in the analyses. In addition, the results of testing in the cohort of subjects who completed testing in all four years are shown in Figures 1 and 2. The x2 test and analysis of variance and a weighing procedure, all from published statistical routines, were used where indicated. 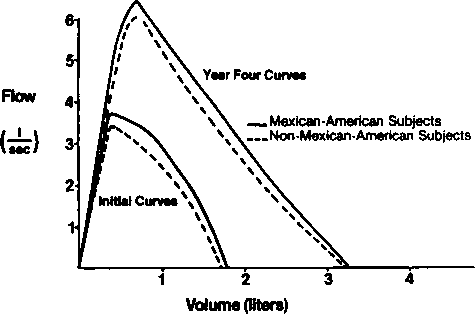 Initial and year-four flow-volume curves in subjects studied who participated all four years.